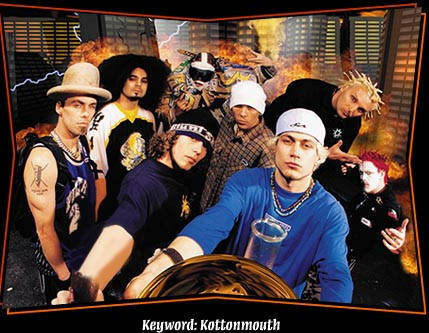 Welcome to the Kottonmouth Kings fan site! On this site I'll include everything I know about KMK'S, including a recordings list, news and gossip, photos, show reviews, and more. On this home page, I have included information about the band's background and discuss how I originally became a fan and what I like best about the band. Thanks for taking a look at my site. Be sure to sign my GuestBook below or send me a private e-mail with your thoughts and suggestions. I'll be updating frequently with info. so please check back often.